It’s kind of amazing what kind of garden maintenance you can do with just a bike. 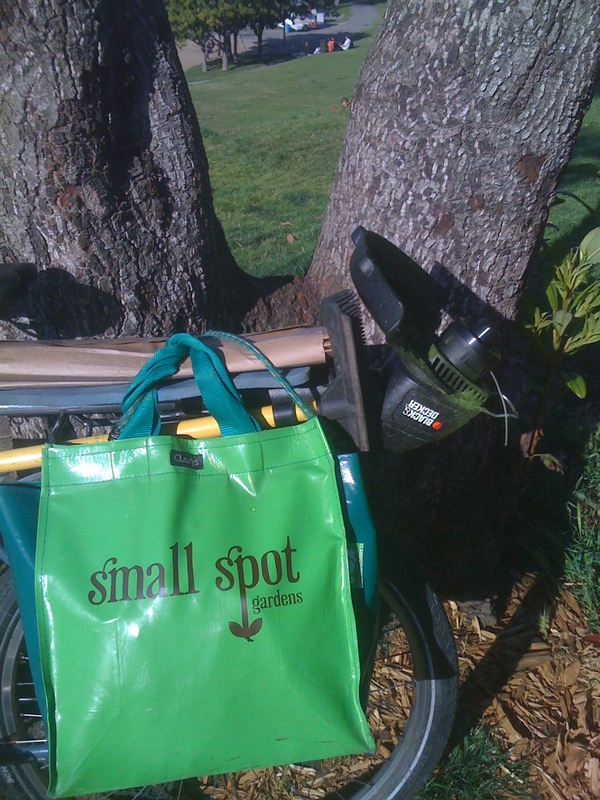 For instance, I can do very (very) small lawns with a 3 lb weed wacker that easily attaches to the bike. A little crazy but it works – sometimes people have just a tiny patch of grass and a full mower would be overkill. On a side note – I’ve been timing trips around San Francisco because I’ll be buying a truck soon for mulching and installations. 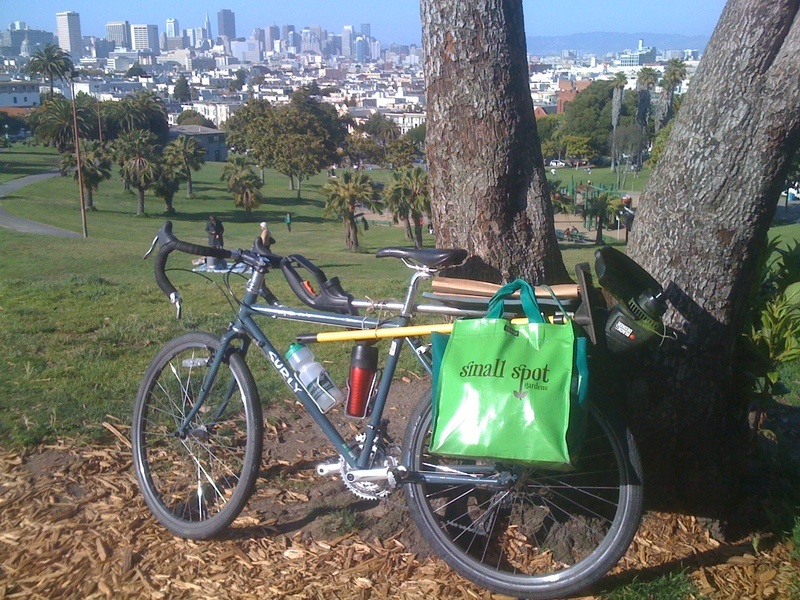 So far, because of the parking difficulties, the door-to-door bike vs car timing is either equal or the bike is faster – even for getting from the mission to the sunset. I’ll keep timing but my guess is that even with a truck ready to go I may end up relying on the bike for routine maintenance.